I finally think I have gotten around to being a more organised blogger- I spent my birthday yesterday (I’m refusing to acknowledge my age) taking photos while I had natural light/planning up coming posts/watermarking all my pictures. Check me out, I’ve also decided to clear the backlog of posts I have in draft too. Oh and if it couldn’t get any better, I’ve got a diary where I have scheduled my posts. What is going on with me?? 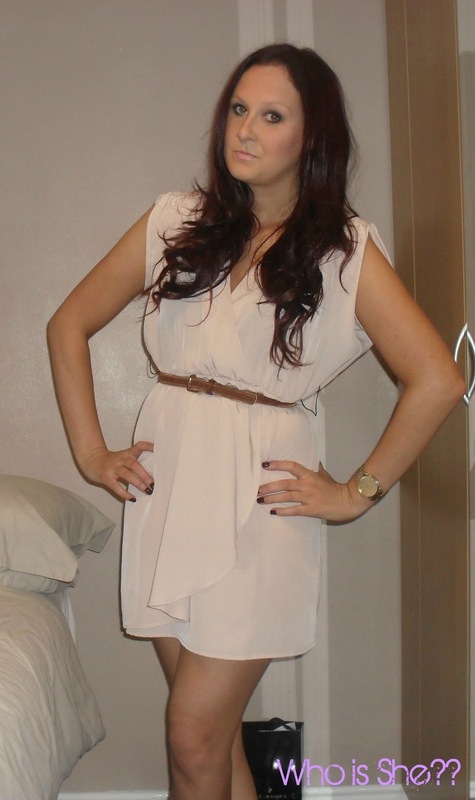 The outfit below I wore for my annual Christmas Eve night out with my cousins and Kayleigh came out to play too. Initially I was debating on whether to wear the dress I wore for my works Christmas Party (ootd on that to come) but instead I found this dress in my wardrobe, which I have had for over 18 months and never worn. So glad I managed to get these pictures before I went out, as I got a raspberry Bellini knocked down the dress- cue me washing/drying my dress in the loos, classy as always. Please ignore my face on the second picture- I've only included it so you can see the style of the top of the dress. Also this dress may look familiar to Topshop devotees, mine is from H+M and only cost a bargain £19.99. The curls in my hair were created not by my trusty hot rollers but by the Enrapture Totem Styler (review to come shortly). Tan Belt- Primark (currently in stores). Shoes- My beloved Topshop Lush Heels (sale bargain- still avaliable in store). Topshop Cream Blush- Head over Heels. Mac eyeshadows- Satin Taupe and Typographic. Elf Studio Gel Eyeliner- Black. 17 Wild Curls and Maybelline One by One Masacara. Illamasqua lipgloss (can't remember the shade- will update asap). 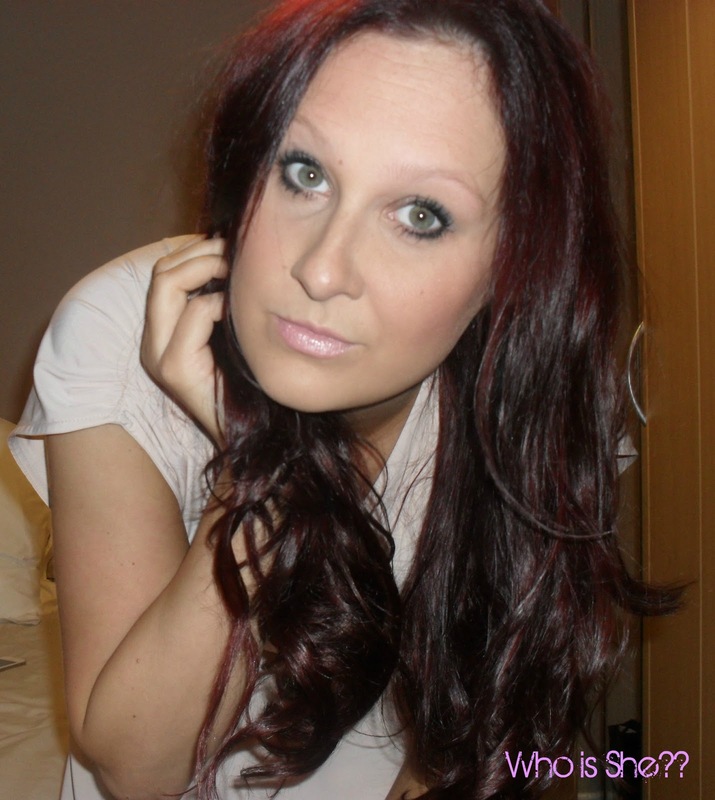 Hair extensions- buyhair.co.uk (shade 99J but dyed). This picture shows my true hair colour- dark mahogany red, although its more bright red now as the brown is washing out. Massive thank you to everyone who wished me a happy birthday yesterday- much appreciated. Roll on Leeds!! Loving it - I have the exact same H&M dress. How tall were you in those heels?!! You look stunning as always. Loving those heels!! You look beaut here! Hair looks amazing!